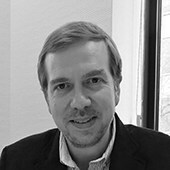 Norman Kurtis graduated in Business Administration and French Literature specialty in Finance at University of Notre Dame, and has an MBA in Strategy by London Business School. He is Vice Dean of Behavior & Human Development, and Professor of Consumer Insights & Behavior at IE Business School. He has more than 20 years of experience helping brands ask the right questions from a strategy, marketing and consumer insights perspective.